As some of you might know, I volunteered (first time!) 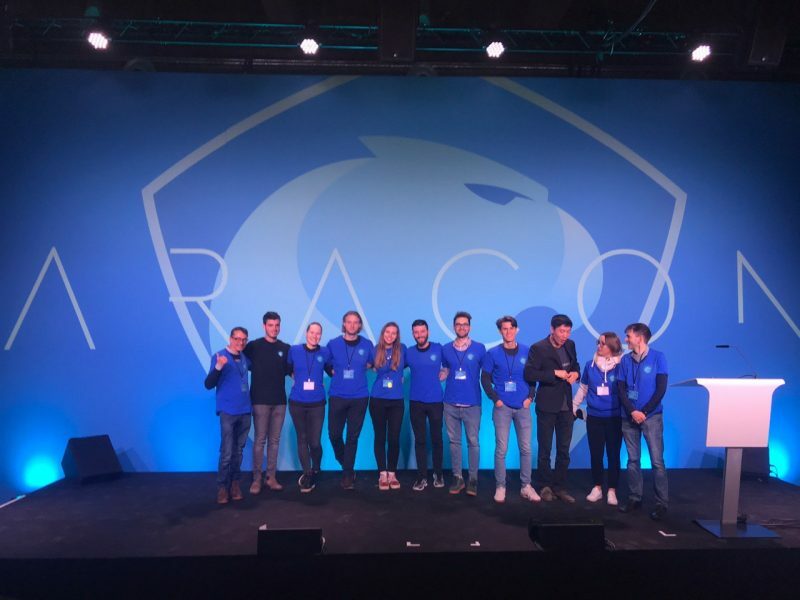 at Aracon One, Aragon’s first major conference. I’ll keep this short, as I’m still recovering from a whole week in Berlin – beer, kebab, a pinch of stress and a lot of love. The atmosphere at Aracon was quite amazing. About 500 attendees gathered at the Bölle to discuss governance for two days. I didn’t attend too many talks as I was mostly busy tracking down speakers, but the ones I did attend were quite interesting. I definitely got the feeling that many intelligent minds are coming up with great ideas on governance. Special shoutout to Jordan from Frame, and Carlos, another volunteer, who launched Guesser.io, a front-end for Augur. Decentral Identity was another hot topic, with BrightID’s (brightid.org) social network based ID-solution. Kudos to Adam for his live demo. There were actually quite a few live demos, come to think of it. The panel with Jordi Baylina (Iden3) and Rouven Heck (uPort) touched on many difficulties (online voting for example) and possibilities of this new technology. The most noticeable tweet-award goes to Lane Rettig, who touched on Ethereum’s scaling difficulties. Finally, Goerli testnet launched today: https://twitter.com/lrettig/status/1091003292514217984. I highly recommend you play around with Aragon and create your own DAO. Go to aragon.org for more information. Next Blamma! Blamma!’s Zsa Zsa is wonderful. But I can’t find the lyrics. Can you help me find it?